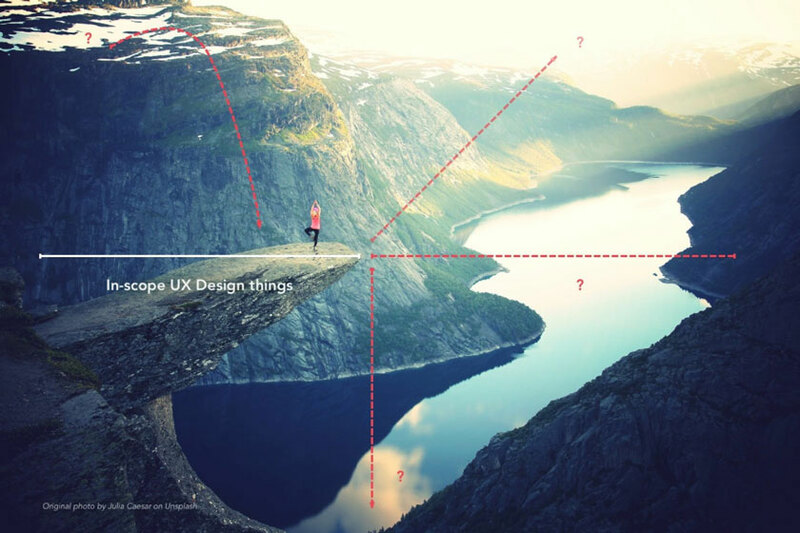 Designers are naturally positioned to think about the long-term impact of a product or tool. We focus on users and think of ethics and impact on the world outside of the immediate business problem. However, this long-term thinking isn’t typically part of the “package” of services we’re hired for. When companies neglect to consider long-term impact it can be for a number of reasons. Perhaps there’s a separate ethics department, or the product thinking is on a different scale (quarter to quarter, year to year… rather than 10 years) than the long-term impact we want to look into for ethics reasons. Companies don’t usually ignore ethics intentionally. It’s just that implications are not always visible from the inside view. How can a designer influence ethical decisions? What should designers do in the face of this discrepancy: we’re not hired specifically to advise on ethics - but as design gets more strategic, we really should. My instinct in these situations has been to ask questions. In any client interaction, but usually during a discovery to define what the product should be, I ask (rather than tell) for the stakeholders’ opinion of the different long-term questions. This can lead to a broader discussion, and help me tie ethical questions to business strategy. Example 1: if I feel the audience for a product is not diverse, and it should be — I can ask how the client feels about target audience, and addressable market. Then, look for opportunity to overlap bigger addressable market through inclusion - rather than preaching inclusion before it’s become an institutional value. Example 2: if I feel long-term impact of a mechanism of user interaction or user selection can be to discriminate, or to harm users, I would ask about the company’s philosophy on how to treat users long-term, as well as risk/liability management. If the potential for abusive practices within the tool we’re building does not quite get solved within the “treat users nicely just because” category, I could steer the conversation toward the risk/liability direction and explain the long-term risks. It is a designer’s job to think about what happens after the design job is done, and the product or tool we made is running efficiently. Is it harming anyone? Is it serving the folks who need it most? And it’s not enough to be only thinking and caring. Our responsibility is to bring this information to everyone involved in the project, in the way that they’d care to listen. If ethical questions feel too philosophical or removed from a business perspective, we must do our best to connect them to business impact, reputation, long-term success, and other things stakeholders already care about. And just like with user interviews - asking the right questions will make all the difference. Could your business benefit from working with designers who ask the hard, future-focused questions? Work with us!